This book should be at the side of every particle and nuclear physics graduate student and professional. 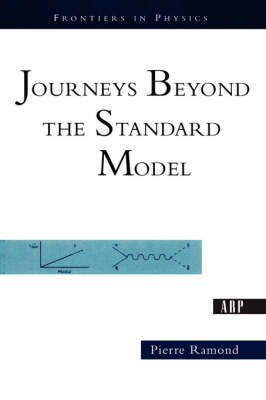 Journeys Beyond the Standard Model starts with a detailed and modern account of the Standard Model of elementary particle physics, the paradigm of particle physics for the last twenty years. Its timely release coincides with the recent dramatic discovery that the neutrino has a finite mass, which is the first indication that the Standard Model is an incomplete description of fundamental physics at short distances. This book presents in detail three possible generalizations of the Standard Model: its extension to accommodate neutrino masses its extension to avoid CP violation in the strong interactions by introducing a new particle, the axion and finally, its generalization to low-energy supersymmetry, which provides a link between the standard model and Einstein's theory of general relativity.This graduate text complements the author's previous book, Modern Field Theory: A Primer , which focuses on the methodology of particle physics. Its aim is to give students and professional physicists alike a thorough understanding of the phenomena described by the Standard Model, while keeping track of the most recent and cutting-edge principles of elementary particle physics.